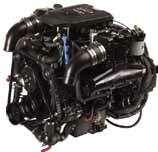 Lake Conroe Marine stresses the importance of regular maintenance for your outboard motor. If we do the maintenance or if you do it, checking the items below will help extend the life of your outboard motor and give you many hours of trouble free boating. Each different engine has some specific situations that need service and you should check your owners manual if you perform the service yourself. This list is intended as a guide line only and your owners manual for your engine is the final authority. (2 ) Special frequency requirements-such as salt water use. Refer to owners manual.